If you’re a student, the age of majority, and have been into your local bank recently, you have probably been offered a student credit card. As a young adult, now is the perfect time to start building your credit and practicing responsible spending – but why just settle for any card? With one of the top student credit cards in Canada, you’ll get more rewards, perks, and insurance at no additional cost – so why not shop around? Getting your first credit card is a big deal. Think of it a powerful tool that needs to be handled responsibly. Welcome to adulting. One of the best times to get a credit card is when you’re a student. Because students are pretty much guaranteed to be approved for a student credit card, it’s a good time to start working on your credit history. Discounts - Get discounts and save money. For example, Scotiabank Student cards give you discounts on rental cars, making it easier to travel on spring break. Insurance - Free coverage for shopping and travel. Check out our full list of included insurance coverage on each credit card (check the Insurance Coverage tab after clicking Learn More on a card below). Whatever your goal is, there is a student credit card out there for you. Still have some credit card questions you would like to have answered before "taking the plunge?" Be sure to check out our Credit Card FAQ. 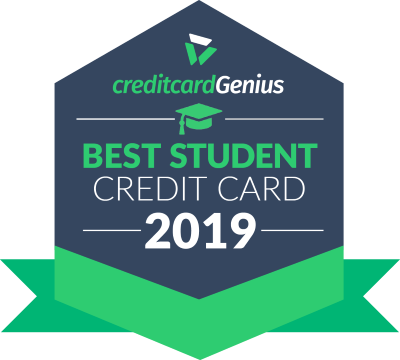 Review all 10 top student credit cards here. As a Canadian student, chances are you’ve heard of SPC. You may even have the SPC card in your wallet right now, because, let’s face it…Getting a 10-20% discount at over 250 locations across Canada is pretty awesome. So, why not combine those money-saving discounts with a credit card that will give you an SPC membership for free, as well as 1% cash back on all your purchases? Sounds like a no-brainer right? The will do just that. Not to mention you'll be getting a sign-up bonus of 5% cash back on all your purchases in the first 3 months (up to $100 in total rewards earned), and no annual fee. If you're dreaming of seeing the world, consider kick-starting your travel rewards with the instead. Instead of cash back, you'll earn 1 AIR MILE per $20 spent, and 2x the AIR MILES at participating AIR MILES Sponsors. The is another great student card to consider if you love being in front of the big screen. With the price of movie theatre popcorn these days, getting a credit card that will help you cut costs on your movie night is never a bad idea. 5 SCENE points for every dollar you spend at Cineplex theatres and cineplex.com. With 1,250 points being worth 1 movie ticket, and 1,000 points getting $10 off at and participating restaurants, your next study-break is sure to be a good one.